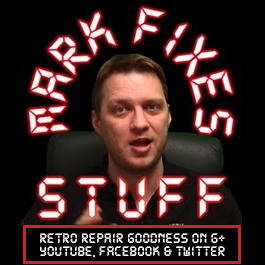 Join me as I open up a gift package from Mr Elliot Foulger of a “spares or repairs” machine which (whilst a bit ugly) I am told works. I have my poorly machine here and the mainboard may end up as a donor. Yet another box opening I realise (sorry), but I have a quite few of these to do after my flooded house caused a backlog.